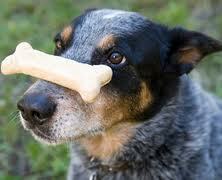 If Exercising Self Control Can Help Your Dog, Imagine What It Can Do For You! A fascinating study sheds light on an area of behaviour normally considered an exclusively human domain. ‘The researchers recruited ten dogs and trained them to sit still for ten minutes, thereby exerting self-control; or not, by putting them in a cage where they were free to move around. Afterwards, the dogs were walked into a room in which a barking, growling dog was caged. The dogs spent a total of four minutes in the room but were free to choose where in the room they spent their time. Although approaching the other dog was the natural response for the dogs, it was also the riskier choice. The message is the same for dogs as it is for you and I: exercise your self-control to stay away from trouble! If it’s helping ‘Fluffy’ imagine what it can do for you!